This article first appeared in The Edge Financial Daily, on April 12, 2019. 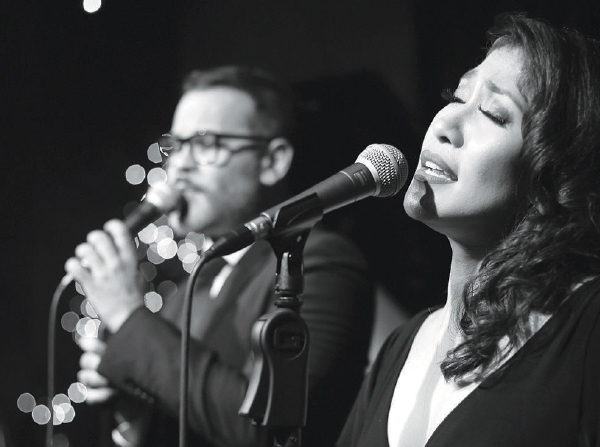 Head over to the city as Alemay Fernandez join the Michael Veerapen Trio and Julian Chan to give the audience a performance as a tribute to Nancy Wilson. It will be held tonight at 10pm at No Black Tie, 17, Jalan Mesui, off Jalan Nagasari, Bukit Bintang, Kuala Lumpur. For more information, visit noblacktie.com.my. 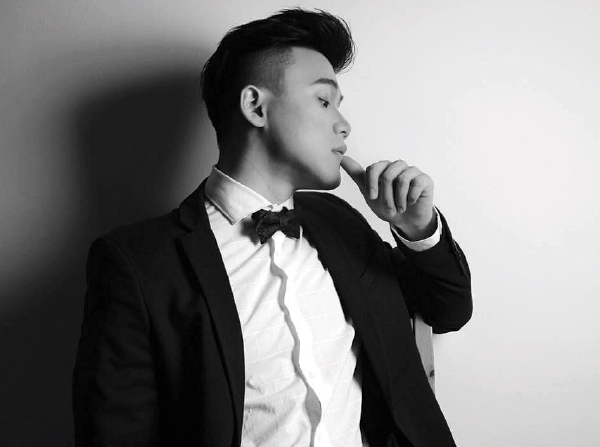 Enjoy a night of jazz and musical numbers, performed by this classically trained tenor, Izen Kong, who started singing when he was only six years old. Included in his repertoire are songs by Frank Sinatra, Ella Fitzgerald, Chef Baker and Ben Platt. It will be held tonight and tomorrow tonight at 10pm at Alexis Bistro Ampang, Lot 10, Great Eastern Mall, 303, Jalan Ampang, Kuala Lumpur. Tickets are available for RM10. For more information, visit alexis.com.my. Lead vocalists Sean Ghazi and Ida Mariana join musical director Nish Tham and the 12-piece Terrer-Menerrer Big Band to give the audience three evenings of Tarakucha favourites during the show It’s Tarakucha Time! 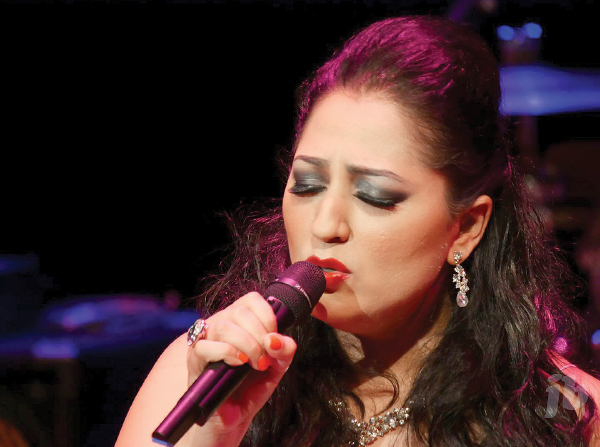 Many Malay classics and other songs in multiple languages will be performed. It will be held tonight and tomorrow tonight at 9.30pm at Bobo KL, 65-1, Jalan Bangkung, Bangsar, Kuala Lumpur. Tickets are available for diners at RM45 and non-diners for RM60. For more details, visit bobokl.com. Savour an amazing performance by Sutra called Odissi on High, together with the dazzling male dancers of Rudrakshya Foundation. 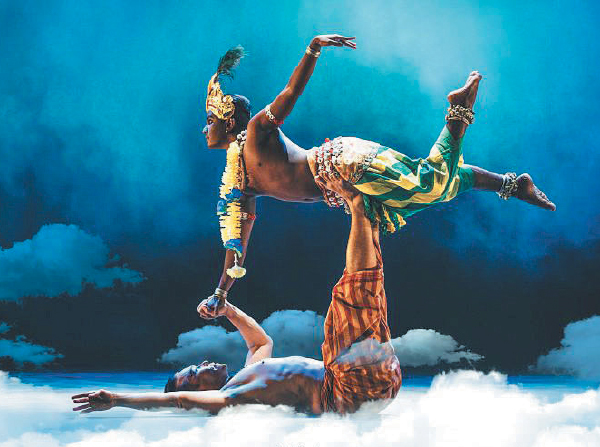 The show highlights the remarkable evolution of virtuosity of two pioneer gurus of Odissi, the late Kelucharan Mohaptra and the late Debaprasad Das. It will be held throughout the weekend at 8.30pm at klpac, Sentul Park, Jalan Strachan, off Jalan Sultan Azlan Shah, Kuala Lumpur. Tickets are priced at RM53 and RM73, and are available for purchase at klpac.org. 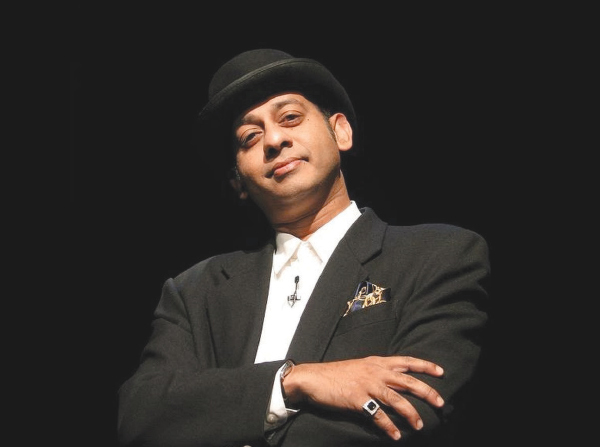 Hosted by Allan Perera, the first half of the performance is Malaysia’s Got No Shame, with “guests” who make up his alter egos and share their philosophies, paranoia and parodies. In the second half there will be performances celebrating music from the 1960s to the 1990s. It will be held throughout the weekend at PJ Live Arts, 2A-3, Block K, Jaya One, Section 13, 72A Jalan Universiti, Petaling Jaya, Selangor. Tickets will be priced between RM55 and RM125. For more details, visit pjlivearts.my. 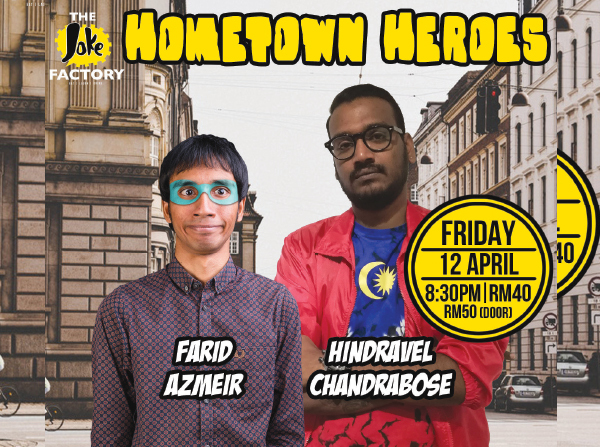 Join Farid Azmeir and Hindravel Chandrabose at their show Hometown Heroes. Although they are relatively new to the scene, these two performers have become very popular and are known for strong delivery and local references. It will be held tonight at 8.30pm at The Joke Factory, 1, Jalan Dutamas Publika Shopping Gallery, Mont’Kiara, Kuala Lumpur. Tickets are available for RM40 at thejokefactory.com.my. 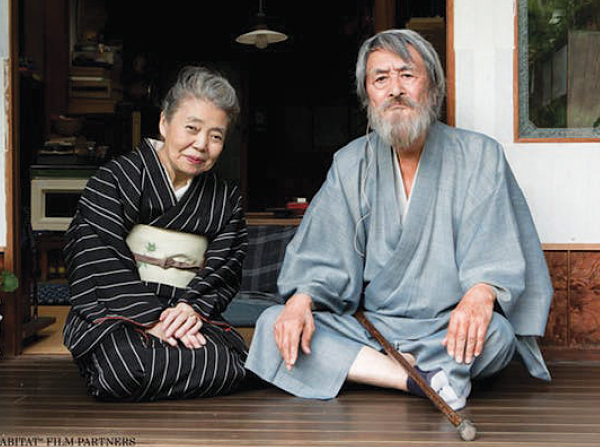 The Japanese Foundation Kuala Lumpur is showing Mori, The Artist’s Habitat which is set in 1974 and follows well-known painter Marikazu and his wife in their house in Tokyo where they entertain various visitors every day including a photographer and the couple living next door. It will be held tomorrow at 10am at GSC Nu Sentral, Kuala Lumpur. For more information, visit jfkl.org.my. 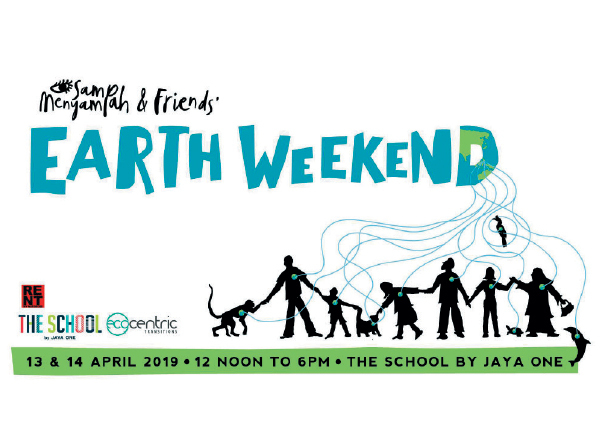 Sampah, Menyampah and Friends’ EARTH Weekend is an event which aims to educate the public on reducing waste as it includes a zero-waste market, non-governmental organisations, talks and film screenings. It will be held tomorrow and on Sunday at The School by Jaya One, 72A, Jalan Universiti, Seksyen 13, Petaling Jaya, Selangor. For more information, view the Facebook event page. 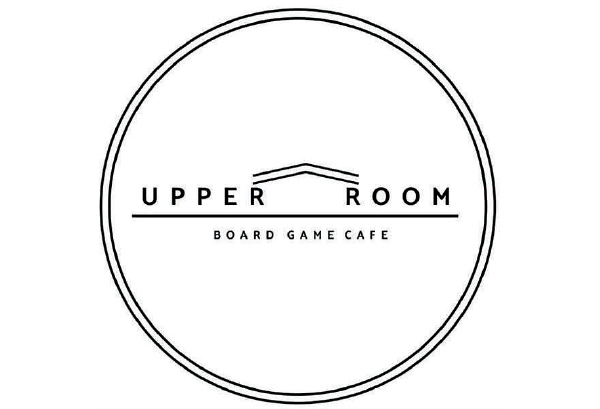 Head over to UpperRoom Boardgames with your favourite group of friends for a night filled with all the best board games. It is open from 11.30am to midnight. The address is 18-1, Jalan Menara Gading 1, Taman Connaught, Kuala Lumpur. For further details, contact 016 967 6150. 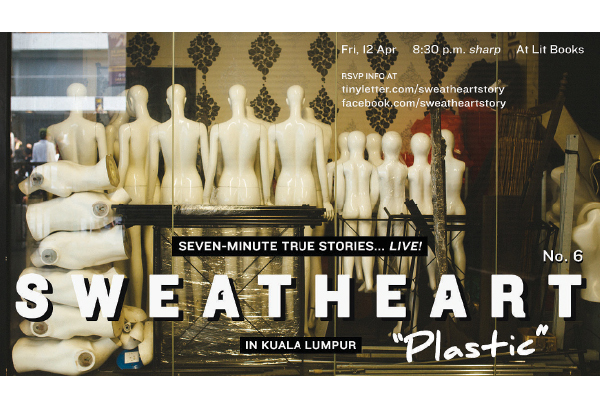 This live storytelling event, Sweatheart, is about real stories by real people where both new and regular storytellers will be sharing true stories where each piece is seven minutes long. It will be held tonight at Lit Books, Golf & Country Resort, Tropicana Avenue, 12, Persiaran Tropicana, Tropicana, Petaling Jaya, Selangor. Tickets are priced at RM20. For more information, contact (03) 7886 6988.